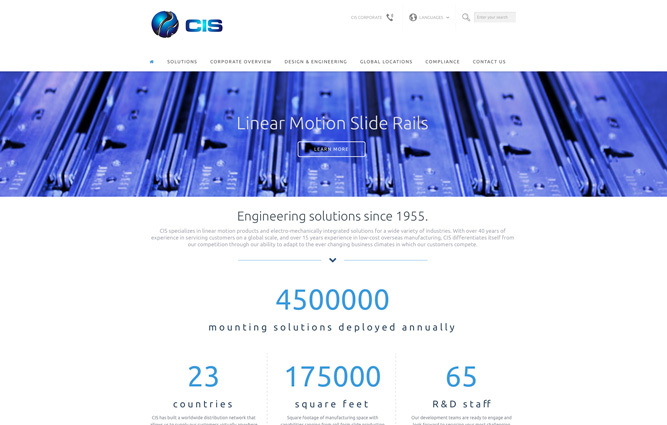 Headquartered in Tucson, Arizona, CIS Global LLC is a leading designer and manufacturer of rack mount technologies, linear motion products and power distribution solutions for a wide variety of industries including the data server and consumer appliance markets. Founded in 1955, the company has over 40 years of experience servicing customers on a global scale with over 15 years of proficiency in low-cost, overseas manufacturing. For more information about CIS Global LLC, visit www.cisww.com. At Guardian Capital Partners, contact Scott Evans.